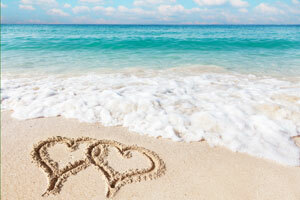 Take your sweetheart on a romantic Valentine’s Day Caribbean or Bahamas cruise from the Port of Galveston. There’s one Royal Caribbean departure from Galveston and three Carnival Cruise Line departures from Galveston that include Valentine’s Day this year. You can take a short five-night cruise to Cozumel aboard the Carnival Triumph, a seven-night cruise to Belize and Cozumel aboard the Carnival Freedom, a seven-night cruise to the Bahamas aboard the Carnival Magic, or a seven-night cruise to Honduras, Belize, and Cozumel aboard Royal Caribbean’s Liberty of the Seas. They all sound like a wonderful way to spend the holiday!